In data imputation problems, researchers typically use several techniques, individually or in combination, in order to find the one that presents the best performance over all the features comprised in the dataset. This strategy, however, neglects the nature of data (data distribution) and makes impractical the generalisation of the findings, since for new datasets, a huge number of new, time consuming experiments need to be performed. 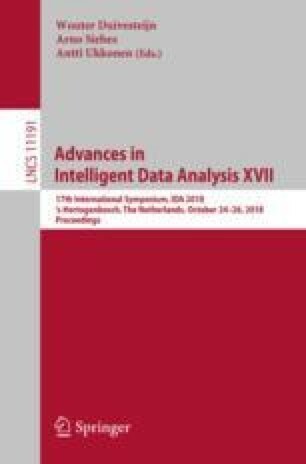 To overcome this issue, this work aims to understand the relationship between data distribution and the performance of standard imputation techniques, providing a heuristic on the choice of proper imputation methods and avoiding the needs to test a large set of methods. To this end, several datasets were selected considering different sample sizes, number of features, distributions and contexts and missing values were inserted at different percentages and scenarios. Then, different imputation methods were evaluated in terms of predictive and distributional accuracy. Our findings show that there is a relationship between features’ distribution and algorithms’ performance, and that their performance seems to be affected by the combination of missing rate and scenario at state and also other less obvious factors such as sample size, goodness-of-fit of features and the ratio between the number of features and the different distributions comprised in the dataset.